Kaden asks: What was the first language spoken by humans? It is virtually impossible to know which language developed first, but that doesn’t mean linguists haven’t taken a good whack at it. The main problem is that scientists think language probably developed around 100,000-200,000 years ago. That’s around when modern humans, Homo sapiens, developed with the same skull structure—with the implication of the same brain functionality—and a similar vocal structure to humans today. Of course, it’s likely that groups of human-like animals had different types of languages well before then. Where sentient beings gathered together, some form of language would have been a necessity to communicate, even if it was just a few grunts like those popularly uttered by cavemen in movies. Discounting these, the origin of modern language is still largely unknown. The first language could have been similar to one spoken today, or languages could have changed so much that they bear no resemblance to the first known language, and may not have even been spoken at all, rather relying on gestures or even whistles, such as with Silbo Gomera, the whistling language. Unfortunately, language predates the written word, and without historical texts to look back on, linguists can only guess at what the first language. There are a few criteria that people use to decide on “the first known language.” One way people determine the first known language is by looking at the first written language, which happens to be Egyptian or Sumerian. There are both Egyptian and Sumerian texts dating back to around 3200 BC. There were, of course, many other languages spoken at that time all over the world—it’s just that these two communities seem to have developed a written language first, or at least wrote their languages on material that was able to persevere through the wear-and-tear of time. These texts are the first real evidence of language, and the only thing that linguists can prove with any certainty. As for spoken language, there are many, many theories that have been developed over the years. For the purposes of this article, we’ll look at the argument over polygenism and monogenism—that is, figuring out if many languages developed independently in different parts of the world at the same time, or if all languages stem from one proto-language a la the Tower of Babel. (If you’re not familiar, the story goes that everyone in the world initially spoke the same language. When they resolved to build a tower to Heaven, God decided to scatter humans across the world and give people different languages to speak so that they couldn’t communicate with one another.) If you believe in monogenism, then there actually was a true “first language.” But if you believe in polygenism, there were many different “first languages” that developed around the same time. Both theories rely on a lot of speculation. With monogenism, linguists have been tracing the roots of modern languages but can only go as far back as written languages before things get murky. There have also been studies based on genetics; there is a correlation between genetic diversification and the diversification of languages that were spoken over time. That would mean that when the human population was small, there could have been just one language. (And, indeed there is a known instances that the human population diminished so much that all of us can trace our ancestry through one woman who lived about 150,000-200,000 years ago, known as Mitochondrial Eve). 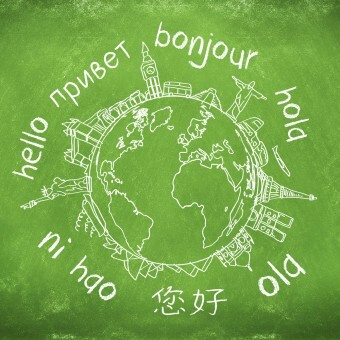 The various studies come to different conclusions about how reliable this method of determining the first language is, making it somewhat controversial. Monogenism largely fell out of favour in the 19th and 20th centuries when polygenism—the thought that all races developed independently of each other—was developed. Linguistically speaking, polygenesis depends on the idea that all languages developed independently of each other based on the environment that humans found themselves in. Monogenism argues that this is unlikely, especially since many languages can be traced back to “mother” languages. What linguists can tell is that most of the 5000 languages spoken today on Earth can be grouped into branches. So, Spanish and Italian are grouped together with French and Romanian and are called “Romance languages.” English, together with German and Dutch, are “Germanic languages.” Both Romance and Germanic come together with Celtic, Greek, and Indian languages (among others) under the banner “Indo-European Languages.” As far as history is concerned right now, Indo-European is the oldest known family of languages, going back as far as Anatolian around the 20th-19th century BC. Some argue that the Afroasiatic family of languages may be older, but the earliest estimates there only go to about the 16th century BC. There are, of course, many other branches of language. Japonic, Amerindian, Paleo-Siberian—the list goes on. Languages can usually be traced to their various branches, but the problem is finding out if they share one common ancestor, or “trunk” so to speak, which would give us the first language (if you accept monogenism, that is!). Whether languages came from one language—called “proto-Human”—or many languages, it’s quite likely that our languages today simply changed and developed over time as the need for names and words for different things arose. 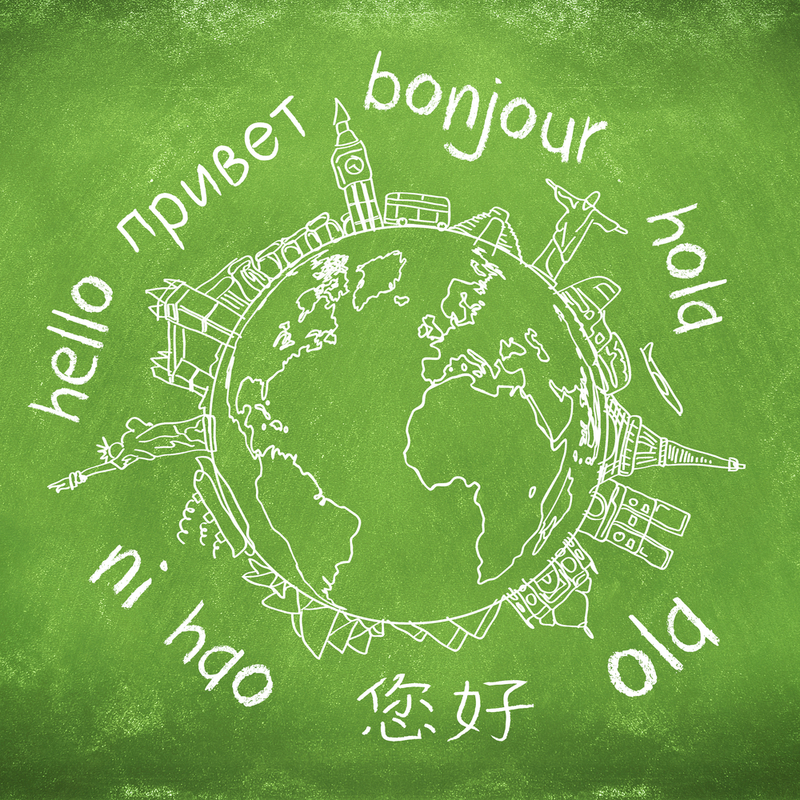 Languages change and grow all the time, and that’s something that all linguists can agree on. For instance, in the last few years words like “senioritis,” “flash mob,” and “woot” have appeared in the Oxford English Dictionary for the first time. With new words emerging all the time, it’s not hard to see how language has changed from Chaucer’s Middle English to textspeak in such a short amount of time. Now expand that to many millennia and it’s no wonder linguists haven’t yet come to a consensus on what the first language might have been. In 1886, the Linguistics Society of Paris declared the mystery of the first language unsolvable and refused to accept any more papers on the topic.